1. Salt every layer of the cabbage. Turn over every 30 minutes to salt evenly. After 2-3 hours, rinse the cabbage 3 times. Drain, and set aside. 2. To make the rubbing paste, blend the garlic, onion, ginger, and korean pear with a food processor. Sometimes I use apple to replace the pear. 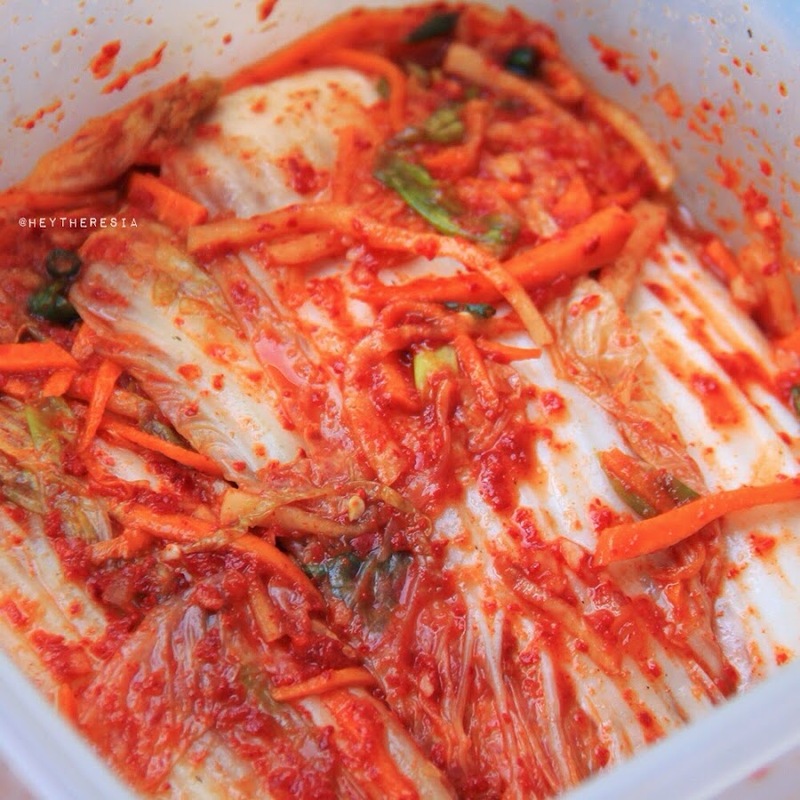 Combine it with sweet rice flour mixture, fish sauce, red pepper powder, carrot, daikon radish, and green onion.